Descriere: Jerry. George. Elaine. Kramer. We've followed their misadventures for nearly ten years on Thursday nights. Here, finally, are the scripts of the first two seasons that will take you back to the beginning of Seinfeld. 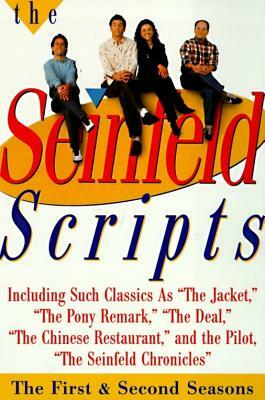 Featuring the first 17 episodes ever aired, The Seinfeld Scripts contains all the great lines that have kept us laughing for years: the pilot episode, "The Seinfeld Chronicles," where it all began; George introduces his importer/exporter altar ego Art Vanderlay in "The Stakeout"; Kramer becomes obsessed with cantaloupe in "The Ex-Girlfriend"; Jerry and George meet Elaine's dad in "The Jacket"; is Jerry responsible for a poor Polish woman's death when he makes "The Pony Remark"? ; Jerry and Elaine decide to become intimate again in "The Deal"; what will George do when he is banned from the executive bathroom in "The Revenge"? ; and Jerry, George, and Elaine wait for a table in "The Chinese Restaurant." It's all here: the award-winning writing of Seinfeld, "the defining sitcom of our age." Created by Larry David and Jerry Seinfeld. Elaine: My roommate has Lyme disease. George: She calls me up at my office she says, "We have to talk." Jerry: The four worst words in the English language. Kramer: What a body. Yeeaaah...that's for me. Jerry: Yeah and you're just what she's looking for, too--a stranger, leering through a pair of binoculars ten floors up. Culled from Tony Barr's 40 years' experience as a performer, director and acting teacher in Hollywood, this highly praised handbook provides readers with the practical knowledge they need when performing in front of the camera. This updated edition includes plenty of new exercises for honing on-camera skills; additional chapters on imagination and movement; and fresh material on character development, monologues, visual focus, playing comedy and working with directors. Inside tips on the studio system and acting guilds make it particularly helpful for people new to the business, and numerous anecdotes from actors such as Morgan Freeman and Anthony Hopkins and examples from current movies illustrate its many lessons. It is perfect for acting classes, workshops, all actors who work in front of the camera -- and all those who want to. 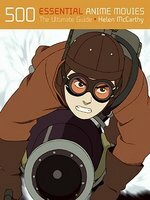 "500 Essential Graphic Novels" is an all-in-one guide to this exciting form of visual literature. Including more than 350 authors and 400 artists, this lush volume contains an essential mix of some of the finest visually-stunning stories of our time. From politically-charged non-fiction sagas to imaginative fantasy tales, this ultimate guide has something to satisfy everyone's taste. The first of its kind, this book focuses on each graphic novel separately, honing in on art technique, style and prose, plus an age rating system so parents will know what is suitable for their children. Chapters are divided by genre, complete with individual plot synopses and star-scaled reviews for each book, providing the reader with a concise and balanced understanding of today's best graphic novels. 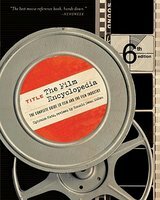 Katz's comprehensive one-volume encyclopedia on film is considered the undisputed bible of the movie industry. 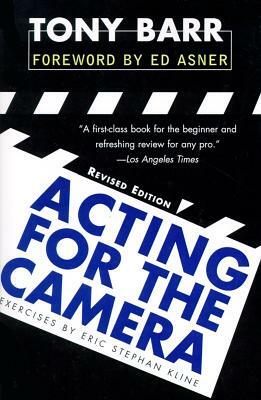 This completely revised and updated edition features more than 7,500 A-Z entries on the artistic, technical, and commercial aspects of moviemaking.